People may write excellent content but when it comes to giving it the hot-shot topic, something which can go viral and grab attentions, they go null. There are blog topic generators to get blog posts ideas & inspirations while keep ensuring that you don’t stop generating clickable, enticing and fresh content for your blog or website. This tool is the best in its category as it is fast and user friendly. All you have to do is input three different nouns and it will dish back five of the best blog topics for you so you can focus more on the writing and less on the title. Portent’s content idea generator is an extremely easy tool to use. You just need to put in a keyword and it starts working. The tool comes with a unique personality as it adds little jokes and quips in the form of bubbles that keep going around the screen with the topic suggestions. As it is quite common with the idea generators, you will find some ideas totally nonsense or silly but spending time on the suggestions will surely get you to your destination. This tool is a bit different from all the other blog ideas generator as with this one, you don’t need to input any keyword related to the industry your site belongs. 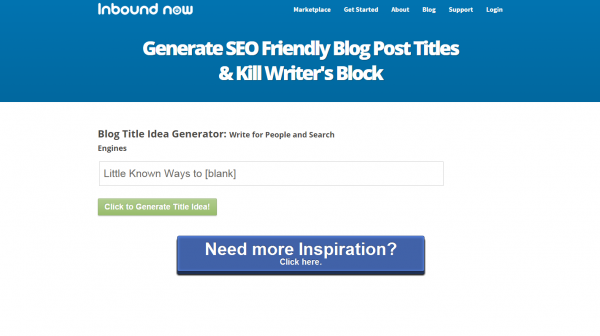 You simply need to click the generate blog posts ideas button and it kick-starts. You only need to customize the suggestions in order to make it a fit for your target audience. The ideas may not be completely new, but it does help while you jot down for your visitors. Inbound Now is a pro in producing blog topics when the writer is stuck somewhere. The best part of this tool is it generates SEO friendly titles that can help the writer come out of the block and at the same time, generate some good traffic with better SEO techniques. 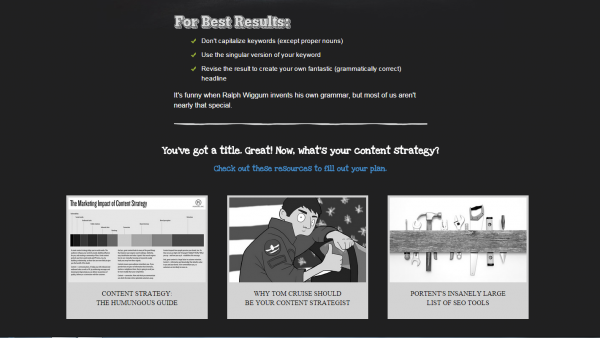 Content Row may not seem very well designed and flashy but it creates great ideas with a simplistic web design. All you have to do is type in your keyword and it will offer four categories for you, namely shocking, A list, fun and controversial. 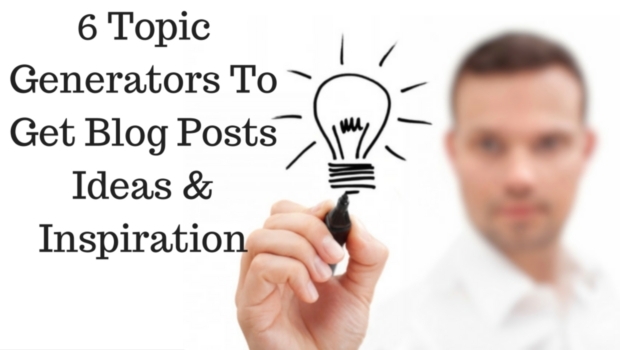 Once you are done with the selection, you will have plentiful of blog topic ideas. The thing which is more interesting about this tool is that it provides you with a little insight about what title structures or certain phrasing will happen to be the best for your blog depending upon the type of post that you want to jot down. 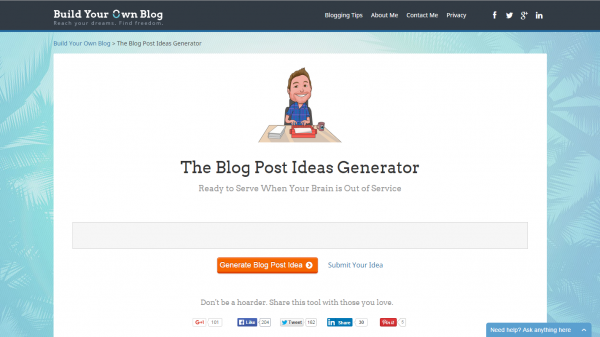 No other blog posts ideas generator give this kind of offers to its customers. The suggestions may also include some ideas which would not hit you but the tool is certainly aiming to get you more clicks. Keeping in mind the unique features that it provides, this is a bit tolerable as you can always pass the suggestions you are not interested in. It is just another blog idea generator which offers recommendations related to the keyword typed in. The thing that sets it apart from other blog posts ideas generators is that it creates an array of pages full of suggestions. Though with every page, the ideas start making no sense but it is still worth a try.